The Governors for the Inter-American Development Bank’s member countries in the Central American isthmus and the Dominican Republic gathered at their 32nd Annual Meeting February 20-21 to discuss formulas for achieving inclusive economic growth, managing vulnerability to natural disasters and harnessing disruptive technologies to increase productivity and spur investment. 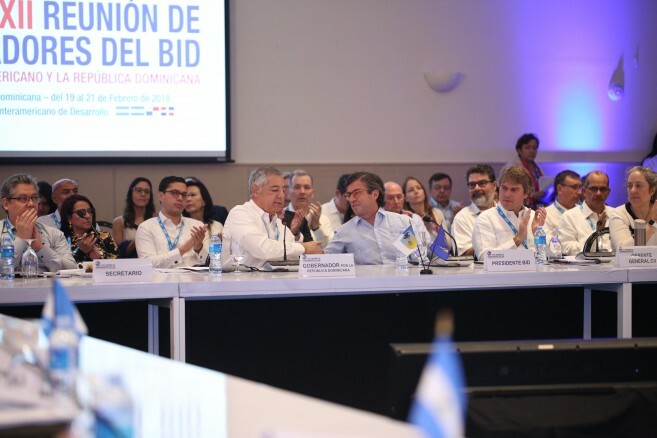 At the meeting, held in Punta Cana, the Governors, ministers of economy and planning, reviewed the risks and opportunities facing the region, which grew at 3.8 percent in 2017, considerably above the rate for the rest of Latin America and the Caribbean. Growth is projected to reach 3.9 percent in 2018. One shared priority for the economies of Belize, Costa Rica, the Dominican Republic, El Salvador, Guatemala, Honduras, Nicaragua, and Panama is the creation of jobs and the reduction of poverty. While the eight countries grew at 2.3 percent in the period from 2000 to 2017 – well above the 1.8 percent for Latin America as a whole – the rate of poverty reduction was slower, at 12 versus 13 percent. Governors were offered an analysis of growth patterns in the region by noted economist Robert Barro, a professor at Harvard University. A panel that included representatives of the private sector and IDB specialists discussed how the countries could embrace new technologies to create jobs, increase productivity and attract investment. Strategies for accelerating growth in tourism were debated by José Chapur, President of the Moon Palace Group, Carlos Hernández, CEO of Pellas Development, and Karla Aguilar from the firm Qué Buen Lugar. In presenting its 2017 report IDB Group Activities in the Central American Isthmus and the Dominican Republic, Bank officials highlighted the approval of 28 new loans for a total of $1.8 billion and $97 million in grant financing for investment and technical assistance. Available balances of operations approved by the IDB Group include $4.7 billion in public-sector operations, $1.6 billion in non-sovereignguaranteed lending managed by IDB Invest, and $40 million from the Multilateral Investment Fund. In 2017, the IDB Group focused heavily on regional health initiatives; gender equality; agribusiness; economic integration; and support for the Plan of the Alliance for Prosperity of the Northern Triangle. 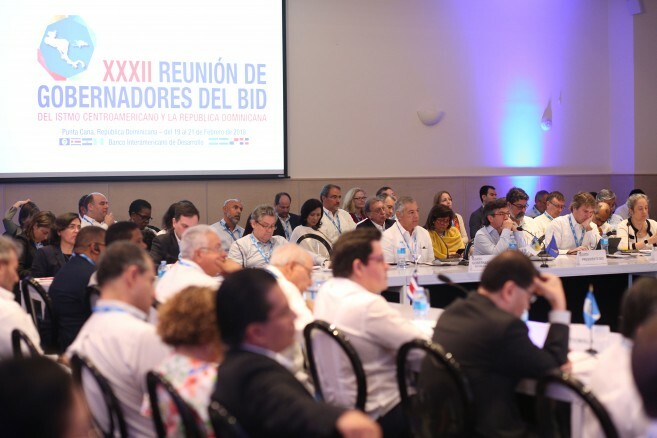 The regional Governors’ meeting was held in preparation for the IDB’s general Annual Meeting, which will be held March 22-25 in Mendoza, Argentina.